Since its inception in December 2010, the Independent Author Network (IAN) has become an important resource for independent authors who count on the site for effective and affordable book promotion. More than 10,000 readers visit IAN each day to find great books by our talented authors. Many members Tweet and Facebook share their IAN Member page and the pages of other members when time allows. Active members are seeing 2,000-10,000 visitors to their IAN page per month! We promote our members 24/7 to Twitter.com. We tweet post more than 100 member pages every day to 600,000 followers. Members use the #IAN1 hashtag where we re-tweet hundreds of member tweets. Our Facebook page has more than 122,000 followers. Those authors who would like to join are directed to fill in and submit the Join Us Form. These files will be used to build your IAN Member page. The page will be built after we receive the setup fee through Paypal. When we receive the complete form you will be contacted with a link to our Paypal page. All members will be able to have articles such as book reviews and interviews posted to The Independent Author Network Blog. 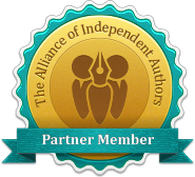 IAN is a partner member of the Alliance of Independent Authors. We comply fully with their Code of Conduct. This requires us to be ethical and honest in how we provide our services. We will "launch" your new Silver membership page with a full two month of tweets! IAN Gold membership is designed for authors who do not utilize social networking to promote their books. The pages are built, maintained and promoted by IAN admin so authors have more time to write.